How many tools are you using to grow your business? 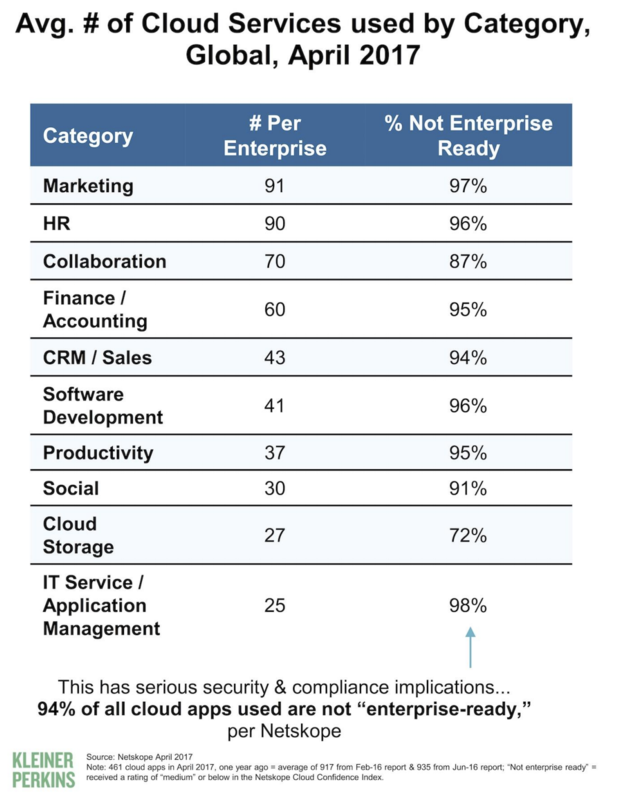 According to Netskope, different departments use (on average) from 25 to 91 cloud services. 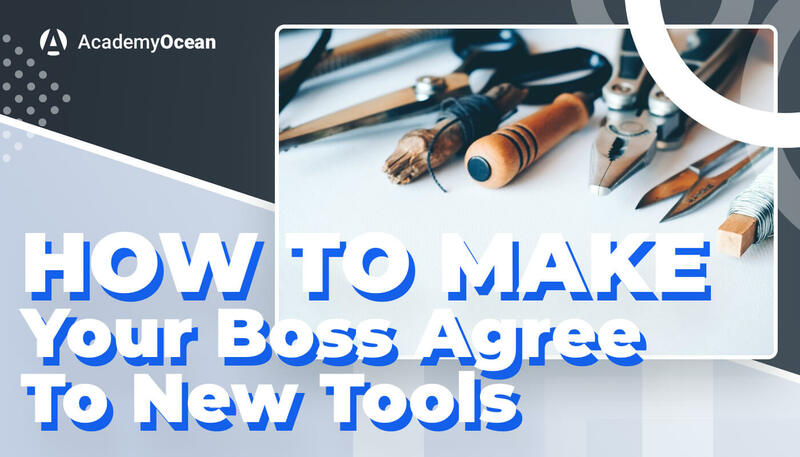 In this article, we would like to give you four tips on how to approach your superiors and properly pitch the need for a new service like AcademyOcean, for example. Your company and departments within it have specific goals. It may be a certain number of deals closed by the sales department or a certain number of leads generated by the marketing team. If your team has had success with the mentioned approach in the past, bring up that case, it will only reinforce your argument for a new tool. Why was it rejected? How to counter or avoid a similar outcome? If it was approved, why? What made your boss say “yes”? Analyzing your previous experiences in bringing changes to your processes can help you prepare for the objections. Also, keep in mind that your boss usually has a much wider view of what’s going on in the company. This is especially true if your company has more than one senior stakeholder. Understanding their perspective and how they view things in the company will help you prepare for the counter-arguments they might have to your proposal. The principle of loss aversion, as explained in this Scientific American article, shows that people are more fearful of a loss than they desire a gain . In other words, if a person was given a choice between losing $20 and gaining $20, the fear of loss would trigger a stronger emotion. Do your research on how the tool you are pushing for will impact your end results and try to be as specific as possible when pitching gains and losses against each other. Let’s say you are doing SaaS marketing for a startup. Budget is tight, but you absolutely need to educate your customers and your audience about your complex product, otherwise you are losing potential clients. We need to implement a working customer education strategy. For this, we require at least one more new employee to conduct the education. We also need to allocate 20 additional hours per week of our developers’ time to build an analytics dashboard for tracking the progress of our students. Our web designer has to create landing pages for our educational content. Or we can buy an academy creation tool, in which case I will only need an additional 20 hours per month from our content manager to put together the courses. Surely your grand plan of having a fully staffed customer education department will not come to life (yet), but you will have a lot more chances of actually starting your customer education program . With these four techniques at your disposal, you can now pitch almost any idea you have to your superiors: from marketing automation tools, even to a salary raise — the principles remain the same in all cases. In the case of AcademyOcean, however, we can offer you one more bonus advantage — a live demo of the product. Use the button below to request a demo of our academy builder and invite your boss to see it live.